It's no secret that I love my Garnier Micellar Water. This cleanser helps to remove my makeup, leaving my skin feel nice and clean. But I am always after that alternative as although you get a lot for the price. 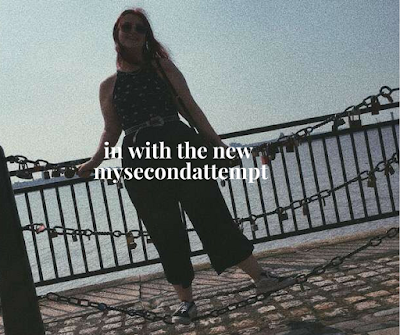 I want alternatives incase I ever dislike it. So after testing cleanser after cleanser I have drawn out two that are pretty close contenders. 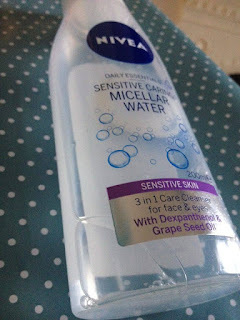 First up is the Nivea 3 in 1 Sensitive Clearing Micellar Water. This aims to remove makeup leaving your skin feeling clean as well as claiming to help reduce redness and tiredness in the face. Now for a cleanser they are pretty big claims. For me I haven't seen any differences with my skin but this does help to effectively take off all my makeup. I perfonally prefer to use this mainly for eye makeup as it with it being a sensitive treatment it doesn't irritate my eyes. Compared to my Garnier one I would definitely prefer to use this for removing eye makeup. But the Garnier one reigns supreme with removing my face makeup. Priced at around £4 for 200ml there is no difference with the price between to the two. 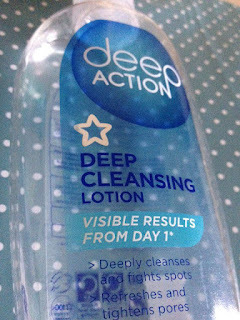 And the second contender is the Superdrug Deep Action Cleansing Lotion. This has a cooling sensation to it. So after I have applied it to my face and removed all my makeup my skin is left feeling smooth and refreshed, as if I have just used a face mask. Even the next morning my skin still feels refreshed and clean from using this. I wouldn't recommend using this to remove your eyemakeup as it can make your eyes sting beyond painful. I would probably use the Nivea one for eye makeup. For only £2.69 for 200ml meaning that this is almost £2 cheaper than the Nivea one. This is a great alternative as well to the Garnier Micellar Water. So here we have it, three great cleansers that everyone needs to try at some point. If you have any other suggestions of cleansers I should try next feel free to comment them down below.